It was a big week for environmental news as a team with Southern Methodist University discovered that radar images showed a large swath of a Texas oil patch was heaving and sinking at an alarming rate—sinkholes were found to be expanding at a more rapid pace than was expected, most likely due to oil extraction activity. 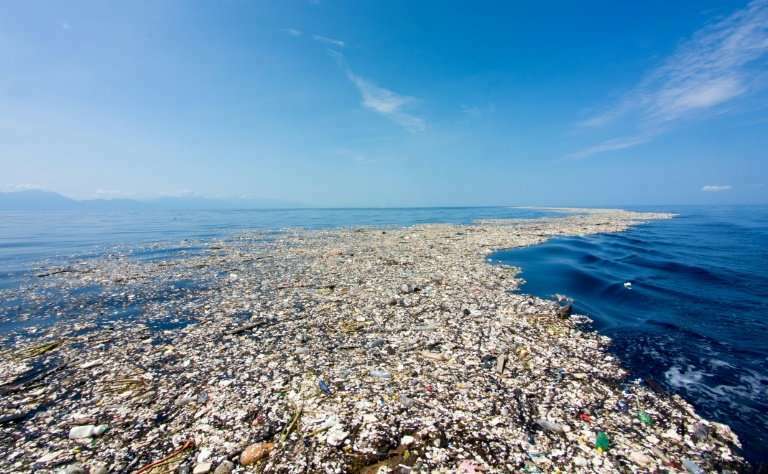 And an international team of researchers made headlines by announcing that the Pacific plastic dump is far larger than feared—they found that it is now larger than Germany, Spain and France combined. Also making headlines was news from the team caring for Sudan, the world's last male northern white rhino—they reported that he was euthanized due to age-related complications. In space news, a pair of sibling astronomers, along with a colleague from the U.K., announced evidence that a star disturbed prehistory solar system comets—the brothers Carlos and Raúl de la Fuente Marcos, along with Sverre Aarseth, suggest it passed by approximately 70,000 years ago, and is now just 20 light-years away. Also, a team of researchers led by Alan Jackson with the University of Toronto Scarborough, reported that their study of the cigar-shaped object from outside of the solar system showed that 'Oumuamua likely came from a binary star system. In other news, a pair of researchers from the University of Texas claimed that they had found new evidence for a plume beneath Yellowstone National Park and a team with members from Rice University, Columbia University and the University of North Carolina reported on a study they conducted that revealed that living abroad leads to a clearer sense of self. Also, a team of researchers from Switzerland uncovered the mechanism behind the recovery of paraplegic rats after therapy—the rats were rewiring their brains. And an international team of researchers announced that they read a hidden medical text for the first time in 1000 years—the pharmaceutical text, written by Galen of Pergamon, was used to educate fellow Greek-Roman doctors. And finally, if you are someone who is concerned about your vitality as you age, you might want to check out a report by a team with members from the Biomedical Research Center, the Florida Hospital and Sanford-Burnham Medical Research Institute and Georgia State University—they found that a calorie restriction trial in humans suggested benefits for age-related diseases. Simply eating fewer calories, they found, slowed aging and metabolism and protected against age-related diseases.